I'm having trouble getting their endpoints to be a consistent size so that I can connect them with a black rectangle of the same width. I've tried using grids, but to no success. Is there a way to, say, automatically resize an object (while preserving aspect ratio) such that a specified dimension equals a desired value (in this case the specified dimension is the width of one of the connection points)? Or, is there a better way to do this? Using the path/node edit tool (F2 by default) you can select the individual nodes that represent the corners of interest on one shape and read their x/y coordinates. Repeat 1. for the other shape. You can then calculate the dimension for each specified object and their ratio. Using Object > Transform (or shift+ctrl+M by default) menu, you can then scale one of the obects by that ratio (with the option Scale proportionally ticked). 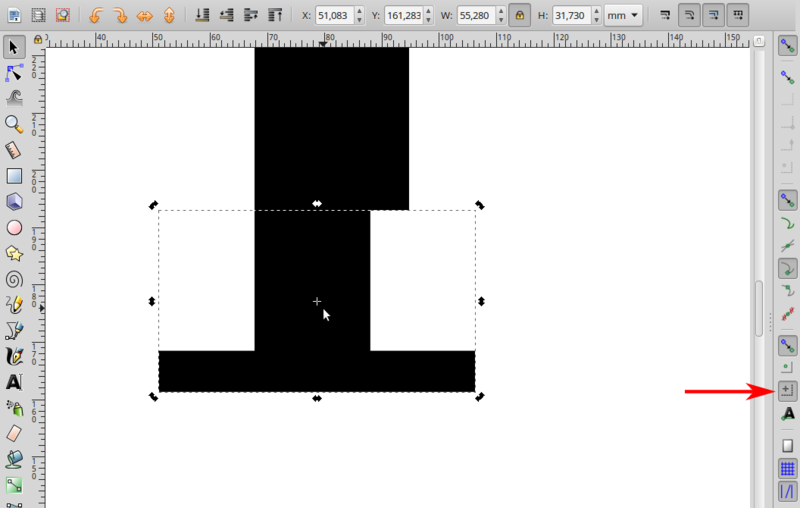 I would not want to do this for more than one or two shapes. 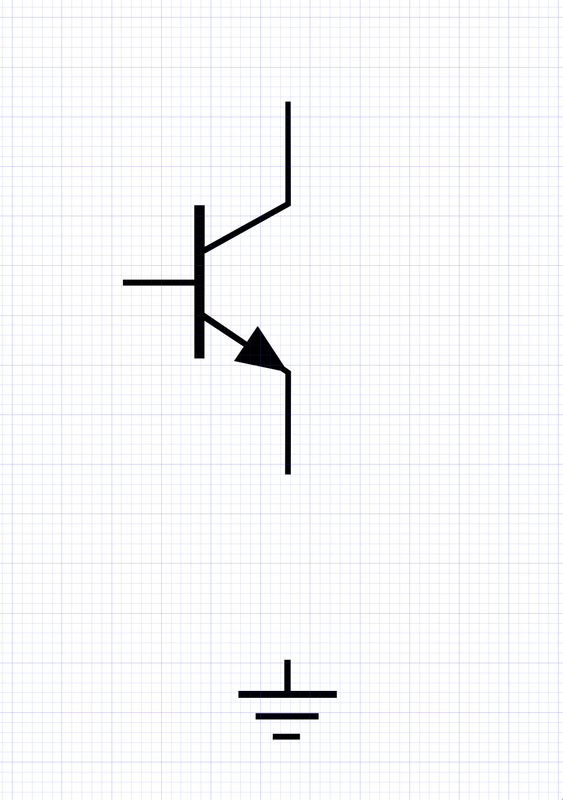 The reasonable workaround: If you can retrace the shapes in strokes with set widths, you can then scale them without scaling the stroke (How can I preserve border width when scaling an object with Inkscape? ), so you won't have the issue to begin with, and all lines will be nice and consistent. One more option: This may not suit your needs, but for the sake of completeness – use specialized software designed for drawing schemes and circuitry. Haven't used any myself, but there are some free options available. Make sure that cusp node snapping is checked. 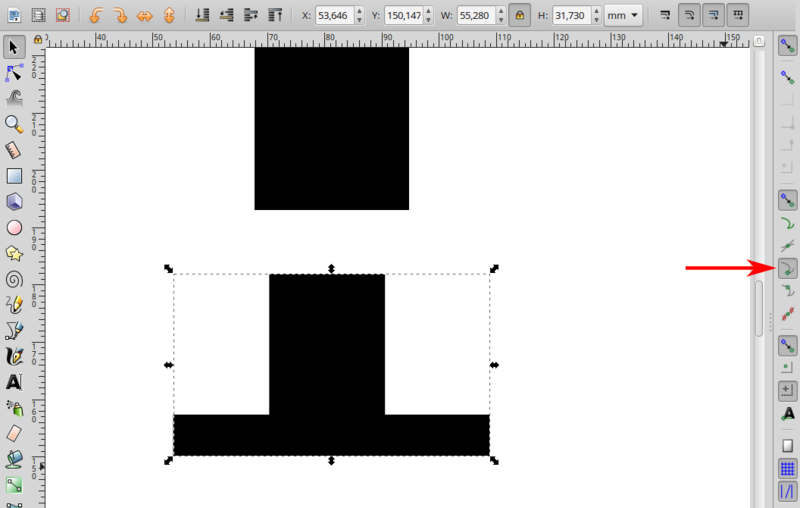 Drag the object and snap one of the corners to its counterpart. Click on the object once to see its rotation center, make sure that rotation center snapping is checked. 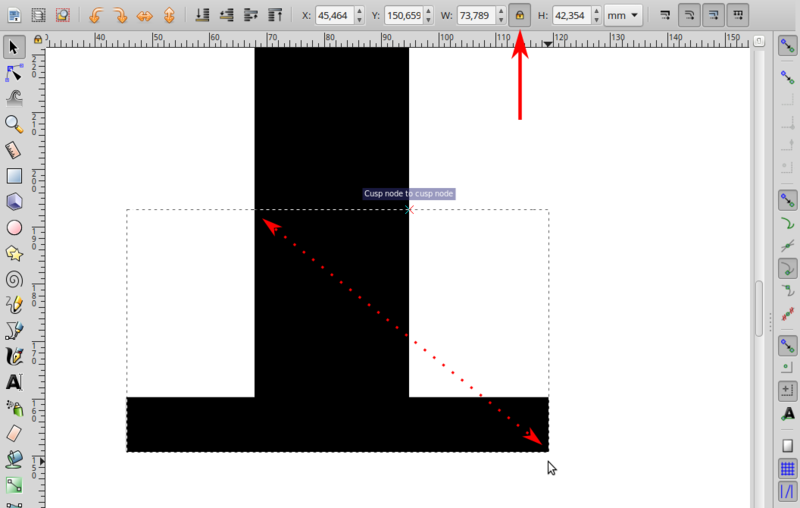 Drag and snap the rotation center to the same corner you snapped in step 2. Make sure the lock button is checked and scale the object while holding Shift (=scale around rotation center) until the other corner snaps to its counterpart. It's best to scale by dragging the objest's corner that is furthest from the rotation center. Is there a way to control inset/offset size? Is there an easy way to remove internal nodes from a path in inkscape?